Fun science experiments and party tricks with balloons for you to try at home. Great for kids, charge a balloon with static electricity and bend water or pick up pepper. 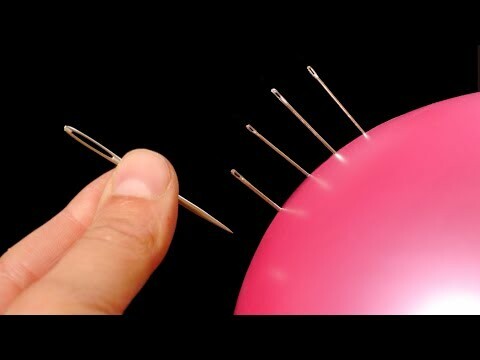 Poke a needle into a balloon and roll a coin around the inside. If you try the needle one, you may want to wear protection in case the balloon bursts.